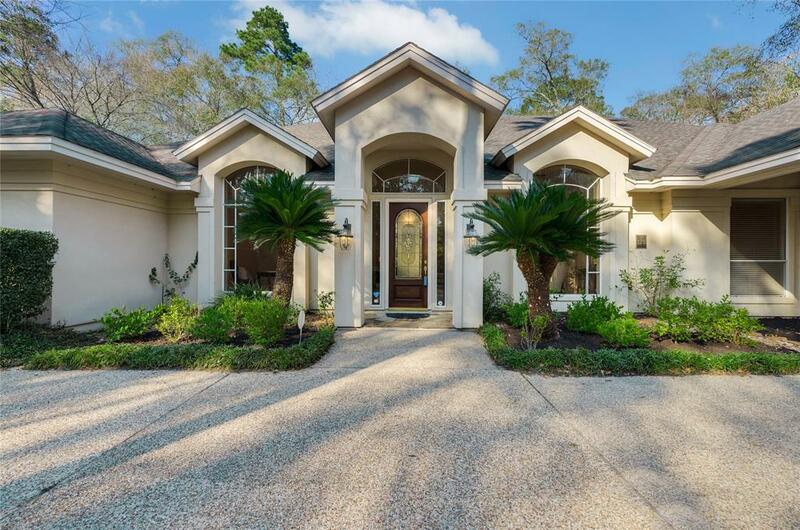 Stunning custom John Post stucco home exudes grace from the approach of the circular driveway with lush landscaping on almost acre very private Lot. 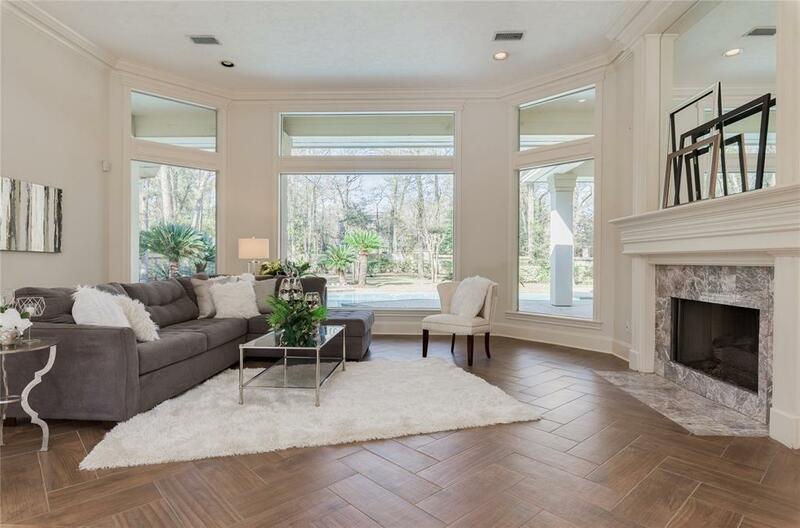 Once you enter, the Foyer opens welcomingly into the formal Living room with fireplace and its window-wall overlooking the sparkling new resurfaced Pool/Spa and wooded Backyard. 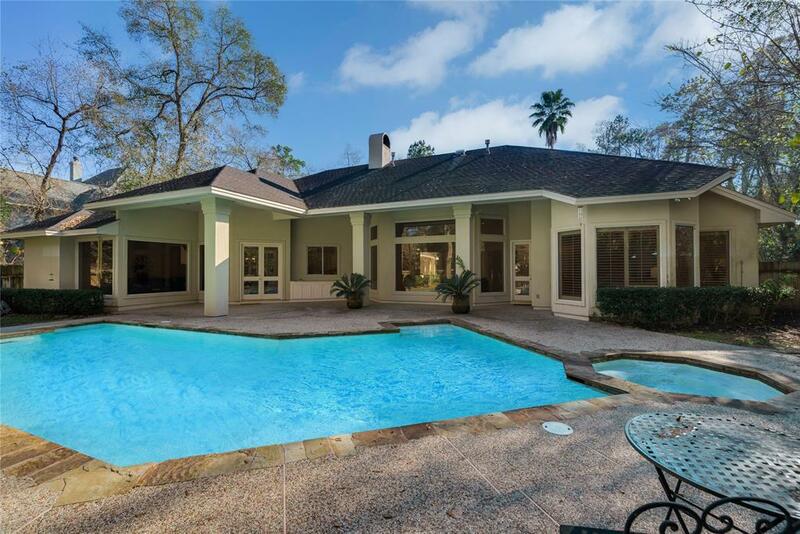 Indoor and Outdoor Living is enhanced with covered Patio, Summer Kitchen and BBQ area are the perfect Venue for Entertainment and Family Gatherings. 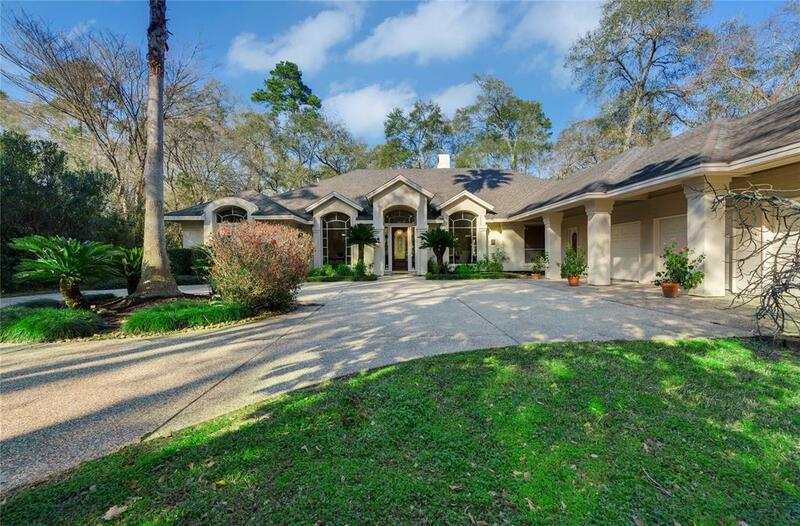 Formal Living with Fireplace, Formal Dining, Study, Master bedroom with sitting area accented with plantation shutters and Patio Door to the Pool, Master bathroom with Whirlpool tub, walk in double shower and Huge Closet with Built-in dressers. Kitchen with gas stove and Oven/Microwave, enormous Granite Island for comfort & convenience. Family room off kitchen with built-ins. Wood tile throughout the house. Close to Cooper School, Exxon and Medical Center.